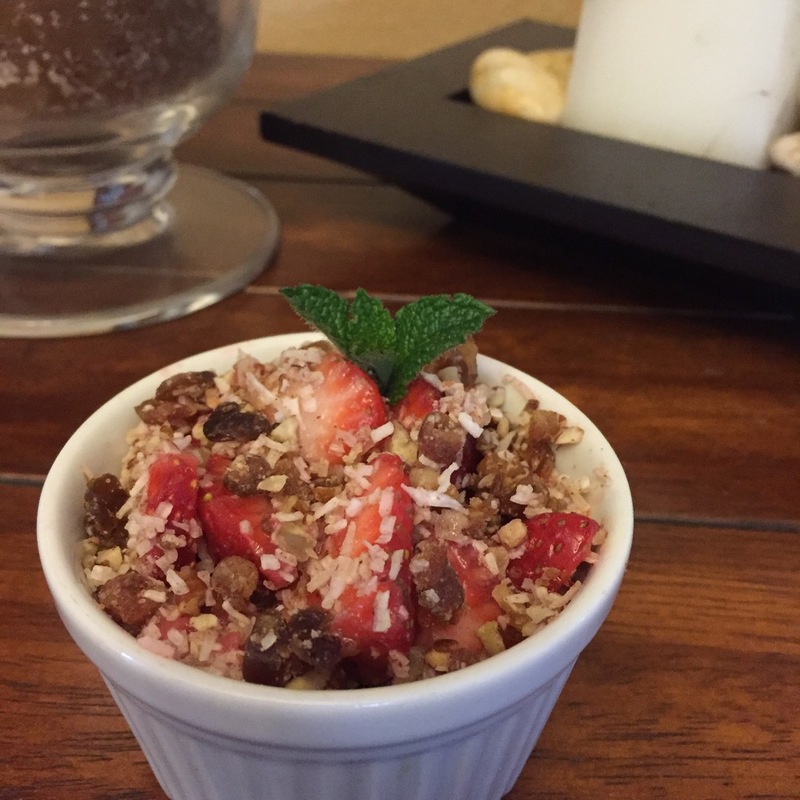 Raw Strawberry Crisp — ECOR Holistic Food LLC. When looking for a sweet treat, turning to berries and nuts is always a win win. I love the natural sweetness of the berries, and my body loves the big dose of antioxidants. Antioxidants, in a nutshell, protect your cells from damaging toxins, and ultimately disease. I created this recipe for a wonderful group of women who were celebrating their friends' birthday, who were looking for simple, healthy, and delicious. This dessert definitely delivers on all accounts. Here in California strawberries are available at the farmers market in February. We're so spoiled!! Give it a go and post any comments you have below.